When traveling to visit breweries, it’s not always just about the beer. In fact, the most positive tasting experience includes delicious brews, a high standard of customer service, and aesthetics to make any Native Coloradan proud. We’ve been wandering the state to find the best spots for beers and views, the loveliest beer gardens, and the finest beverages that fit their surroundings perfectly. There’s nothing better than admiring a Rocky Mountain vista while drinking a pint of your favorite draft. And while there are several great locations to choose from, we thought we would pick three of our favorites, hopefully inspiring you to take a little road trip this summer for an inspirational drink with a bit of scenery. 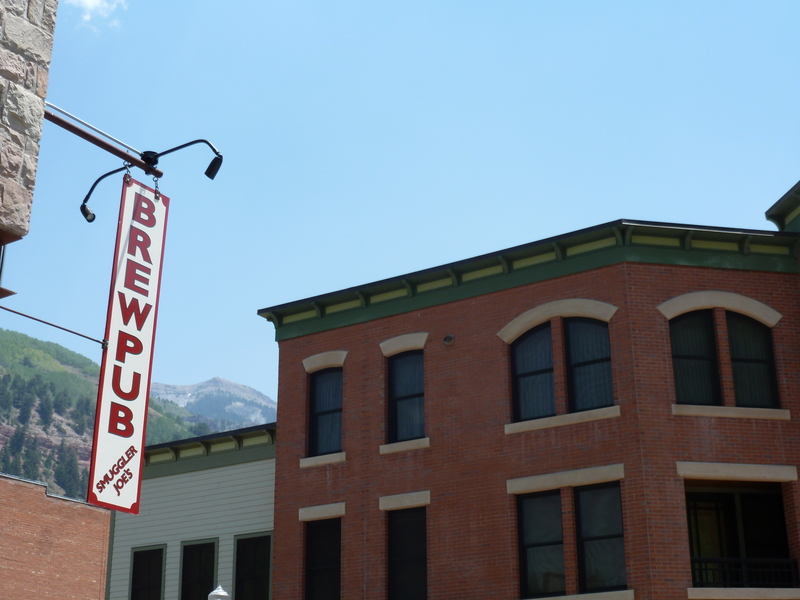 Ouray Brewery: Their rooftop absolutely can not be beat. Looking almost 360 degrees up at the San Juan mountains, you’re likely to stay for a second pint. If you feel the need to earn your beer and vista, stop here after a day of hiking or ice climbing, (Ouray is a world famous destination for both), or just drop in for a beer. Aspen Brewing Company: Known globally for its skiing, Aspen is also a town to enjoy walking through and to maybe catch its Saturday Farmer’s Market during the summer. And the deck at Aspen Brewing Company is worth a visit, looking over the town and up at the slopes . . . perfect and quiet if you’re out enjoying the fall colors in September and October. 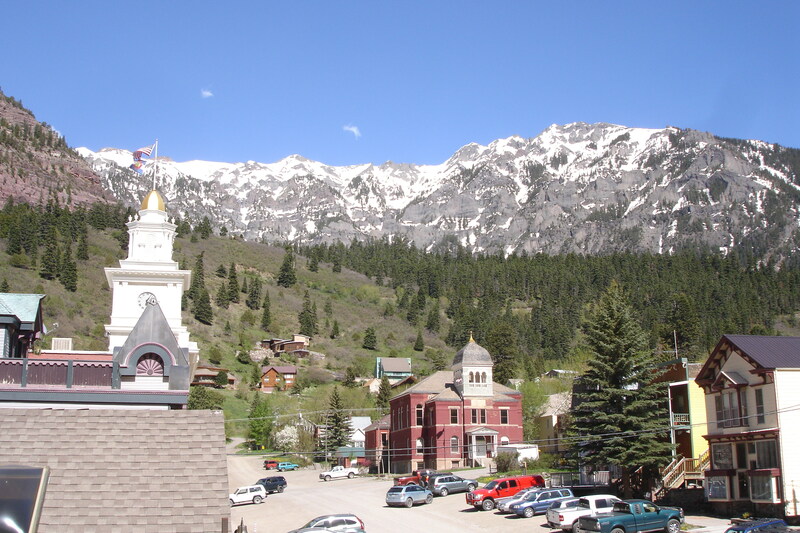 Smuggler Joe’s: Like Ouray, Telluride is another beautiful town in the heart of the San Juan Mountains, a range we just keep going back to again and again. The back patio at Smuggler Joe’s (off Telluride’s main drag) is surprisingly quiet. The views up at the incredible mountains are ideal, especially with a tasting tray featuring their seasonal or specialty beers. To Watch For: Though they have taps of other great breweries available now, Mountain Madness on the north side of Durango should be pouring their own beer by the fall. The deck there will be another great place to enjoy San Juan scenery and craft beer. Well, what are you waiting for? Escape Denver’s heat by retreating to the mountains for a refreshing draft amongst some of Colorado’s most idyllic landscapes. This entry was posted in Beautiful Breweries, Craft Beer Adventures and tagged Aspen Brewing Company, Durango, Mountain Madness, Ouray, Ouray Brewing, San Juan Mountains, Smuggler Joe's, Telluride.